New research into the first complete skeleton of a Marsupial ‘Lion’ which once roamed Australia provides extraordinary insights into the species hunting ability, social traits, and similarities with the iconic Tasmanian Devil, according to Australian research. A team of researchers from Flinders University set out to analyse the skeleton of the lion (Thylacoleo carnifex) after new remains were discovered, including the only known complete skeleton, in caves in Naracoorte and the Nullarbor Plain. 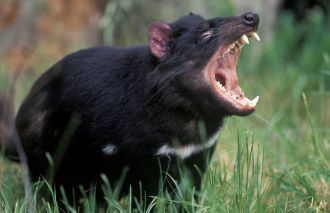 Their research confirms the lion was a skilled climber, and that the anatomy of the lion is most similar to the Tasmanian Devil, which is the largest marsupial carnivore still living in Australia today. 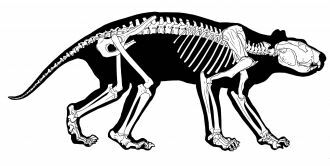 New research into the first complete skeleton of a Marsupial ‘Lion’ which once roamed Australia provides extraordinary insights into the species hunting ability, social traits, and similarities with the iconic Tasmanian Devil, as published today in the journal PLOS ONE. 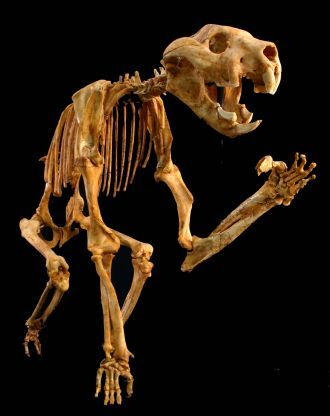 A team of researchers from Flinders University set out to analyse the skeleton of the lion (Thylacoleo carnifex) after new remains were discovered, including the only known complete skeleton, in caves in Naracoorte and the Nullarbor Plain. Their research confirms the lion was a skilled climber, whether it be moving through the canopy or through caves, despite weighing over 100 kilograms. It had a heavy, muscular tail that would have helped it balance and free up the forelimbs for prey capture and food manipulation. 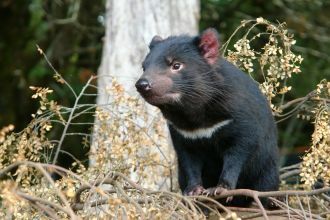 Interestingly, they reveal the anatomy of the lion is most similar to the Tasmanian Devil, which is the largest marsupial carnivore still living in Australia today . “These recent fossil discoveries in South Australian caves enabled us to finally assemble a complete skeleton of the marsupial lion, including the tail and collar bone, for the first time ever,” says study author Professor Rod Wells. The extinction of Australia’s largest marsupial predator has intrigued palaeontologists who have tried to determine the lion’s lifestyle since it was first described using incomplete skull and jaw fragments in 1859. Recent fossil discoveries included the first known remains of the tail and collarbone, and the authors compared its anatomy to living marsupials, revealing the similar biology and behaviour of the ‘lion’ when compared to the Tasmanian Devil. “Our analysis of the tail suggests that it was held up in the air and that it was being used in a way that differs from all living marsupials” says Aaron Camens, Lecturer of Paleontology at Flinders University. The researchers haven’t determined whether the lion was a cooperative hunter or simply an opportunist, however the fact multiple adults and young were found in caves suggest they operated in social groups. For millions of years, Thylacoleo carnifex was Australia’s largest and most ferocious mammalian predator, using its climbing ability to ambush prey until the megafauna disappeared around 40,000 years ago. “It has taken 160 years since discovery of skull and jaw fragments at Lake Colungulac in Victoria to finally complete the skeletal jigsaw of this enigmatic and controversial marsupial and reveal how nature structured a super carnivore from its ancient herbivorous ancestors.” says Professor Wells.